Sanibel Sea School kicked off the summer camp season on June 4th with Hammerhead Week at the organization’s Sanibel Flagship Campus, and Mangrove Tree Crab Week at its Sundial Beach Resort and Spa location. Both programs were a success, and campers enjoyed five days of ocean-based activities and adventures. 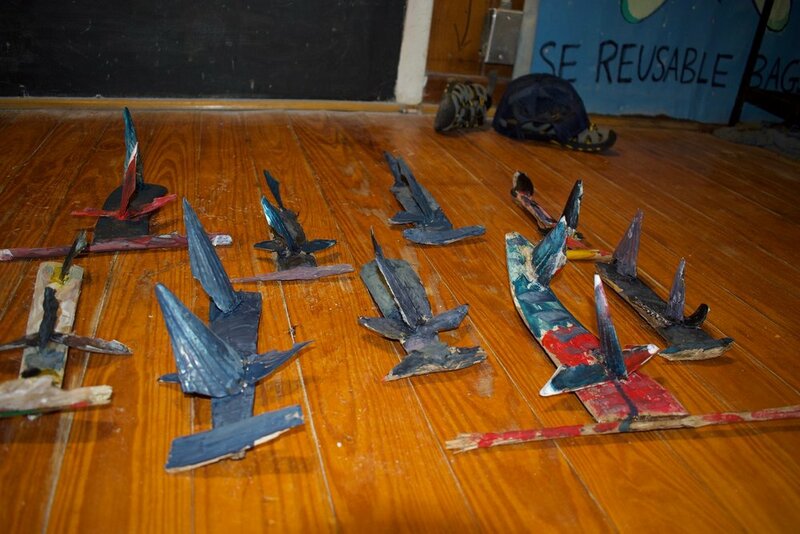 Hammerhead Week participants learned all about these sharks with crazy-shaped heads, building periscopes to better understand hammerheads’ vision, canoeing in prime shark habitat, and making their own mass migrations. They also had a chance to dissect a dogfish – the hammerhead’s much smaller relative. “The campers are always amazed by how a shark’s skin feels, what the gills and internal organs look like, and the similarities and differences between chondrichthians and humans,” said counselor Sam Lucas. As usual, both weeks also included surfboard paddling, making ocean art, and spending time with friends. Sanibel Sea School is a 501(c)3 nonprofit whose mission is to improve the ocean’s future, one person at a time. To learn more, visit sanibelseaschool.org.